Come to Riverton located in the heart of Wyoming in the Rocky Mountains for intentional listening, experiential learning and caring conversation with the Native Americans of the Wind River while respecting their cultures, lifestyles and spirituality. This service opportunity is not to work for, but to work with. Our primary mission and ministry will center around building relationships with children, youth and their families of the Wind River community. 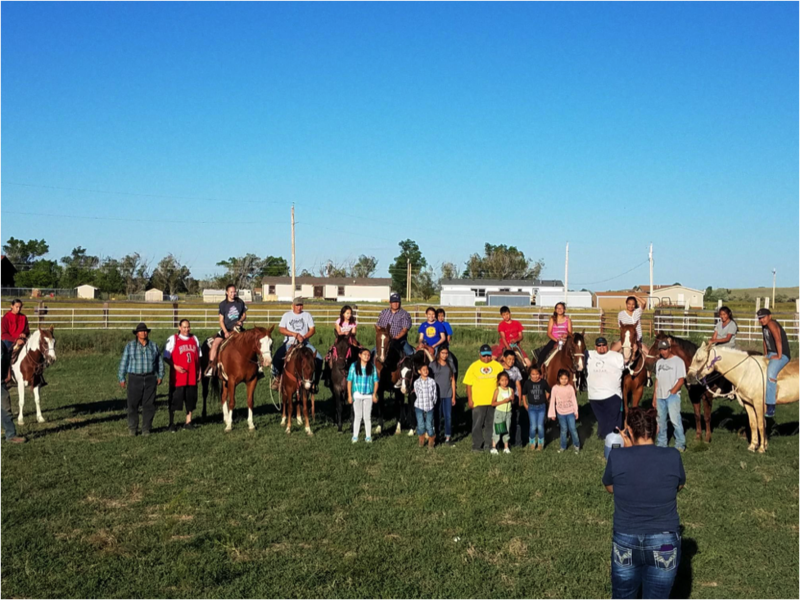 As a part of this team, you will be helping to expand and develop and carry out the recreational and learning opportunities available to these families through serving at programs such as Horse Culture - which is focused on providing children and youth with a web of relational support, working to increase awareness and help prevent childhood suicide rates. The Wind River Reservation (WRR), established by treaty in 1863, is home to two tribes, the Eastern Shoshone and the Northern Arapaho, and is the only Indian reservation in Wyoming. The median age for the Native Americans on the WRR is early twenties, compared to late thirties for people of European heritage in Wyoming. Economic and health disparities for Native Americans here are significant. Historic trauma and current racism takes its toll, yet the people are proud of their traditions and culture and have tight family bonds and a sense of belonging that makes them strong. They seek to reclaim their Shoshone and Arapaho languages. The last weekend of June is the renowned Eastern Shoshone Pow Wow in nearby Fort Washakie and other pow wows are held throughout the summer. Drumming and singing are central to the culture along with other spiritual practices. Riverton in the midst of the WRR was founded in 1906 after Congress opened up the land to white settlers. The Riverton City Park is venue for many summer activities. Riverton Rendezvous Days held in July celebrate the history of the making of the West. As in many border towns, tension exists between the diverse cultures. Yet the American Indians and whites (whether descendants of the original settlers or newcomers) all appreciate the beauty and opportunities the mountains, streams and lakes provide for us. We come together to make diversity our strength, as opposed to being our burden. The First United Methodist Church in Riverton is the host church and where you will be staying. Showers have been newly installed for mission groups such as this. The pastor and congregation are eager for you to come here, not only to serve the community and how this will likely transform your lives, but how the partnership with you and QuadW Missional Internship likely will transform the church.